Within social sciences, there has been a revival of interest in religion and spirituality (Jafri et al. 2015), especially in the context of consumer identity and its impact on consumption. 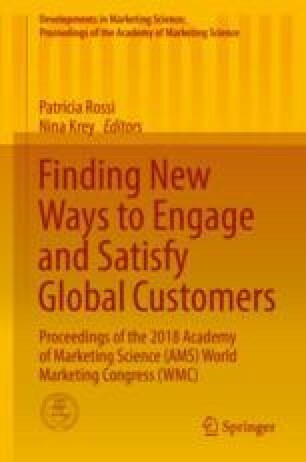 Past studies reveal that the relationship between consumer identity and product consumption has yet to be fully explored, particularly in a service context (McKeage and Gulas 2013) and in countries with strong religious and cultural values. The aim of this study is to investigate the role religion plays in forming consumer identities and to identify to what extent religion has an impact on the salience of one identity over another in terms of consumers’ bank choice (i.e. a traditional or Islamic) in Pakistan. The banking sector of Pakistan is an illuminating context for the study owing to the variety it offers in terms of its banking operations through conventional or non-religious and Islamic banks. Despite having a strong religious identity on the basis of religious affiliations and religious commitment (Worthington et al. 2003; Wilkes et al. 1986), the respondents in this study preferred to use the bank of their fathers’ choice even when this was a traditional bank, although traditional banks do not follow Islamic practices, which work on the principle of profit/loss sharing and prohibit any activities that deal with ‘interest’. Analysis of the data also revealed that owing to the lack of trust in religious compliance and adherence to Islamic principles (Ashraf et al. 2015), the respondents preferred to use the banks which were recommended or used by their fathers. This finding indicates an area of potential conflict between religious and role identities. This study contributes to the consumer behaviour literature from the perspective of consumer identity by investigating the role of religion in the salience of consumers’ religious and role identities in relation to their consumption—here bank choice. The results suggest a need to further explore the interplay between culture and religion in ‘religious’ countries, the precedence of religion and role and the potential for identity conflict on the basis of strong cultural and religious values and could impact consumer behaviour.